Samoa will be officially handed the Pacific Games flag to host the 2019 Games in Apia at the end of the 10th Pacific Mini Games in Port Vila, Vanuatu. 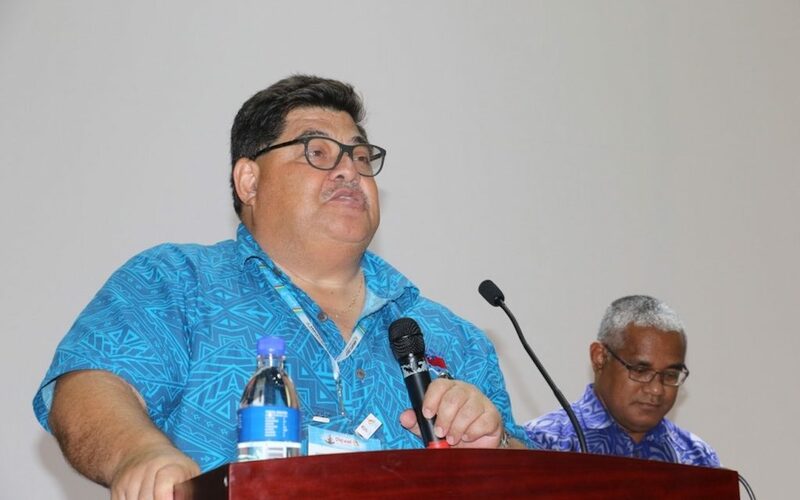 Pacific Games Council president VidyaLakhan expressed the council’s gratitude to the Samoa Association of Sports and National Olympic Committee (SASNOC) and the Samoan Government for successfully bidding to replace Tonga, following the Tongan Government’s withdrawl. “Hosts normally have seven years, we have only 573 days or less than two years to July 6th 2019,” said SASNOC president Patrick Fepuleai. “We bid for these games because we were confident we could do it based on two most important factors. The facilities were used for the 2007 Pacific Games and the 2015 Commonwealth Youth Games. Fepuleai said they also have the expertise from these games are still around. “The second factor was our Government is fully behind and supported our PGA,” he told the PGC. They will soon be advertising the key positions soon and waiting for Government to put the necessary legislation in place for the setting up of the Games authority as well as financial obligations. A total of 26 sports will be played at the 2019 Apia Games. “We hope to host a successful 2019 Games,” the SASNOC president said.